AlcheMiner has posted that they are planning to start work on a second generation Scrypt ASICs, however they are looking for investors to help them start the process and that they plan to gather $5 million to $7 million for the Alchemist II project. They are looking for serious investors offering multiple investment plans starting at 50K USD, 500K and 1 Million USD offering different benefits. According to the information published it will take them about five to six months for the first batch to be launched in the market after the fundraising goal is met. 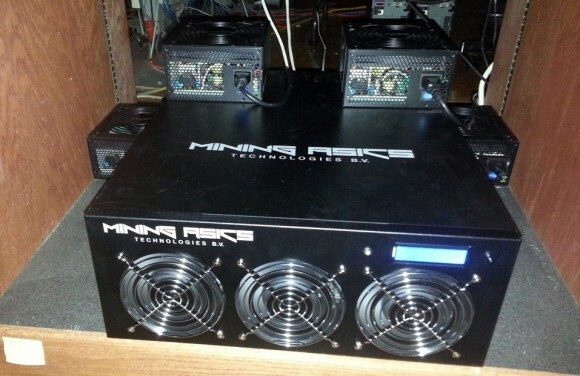 The new chips are supposed to be used in AlchemistII-128 128 MHS miner with 280W power usage priced at $1299 USD and AlchemistII-512 512 MHS miner with 1150W of power usage and a price of $4950 USD. It seems that MAT (Mining Asics Technologies) has “resumed shipping” or more like actually started shipping their Scrypt ASIC miners to customers, there is even a user review of their 250 MHS Excalibur miner. Interestingly enough there is also a discussion going on that the MAT Scrypt ASIC miners and the Alcheminer Scrypt ASIC miner use essentially the same hardware. If this is true the it is interesting who is the actual manufacturer of the hardware when even the timing of the two companies in releasing ans shipping hardware also pretty much coincides. We can speculate that either Alcheminer or MAT has developed the hardware and one company is the OEM supplier for the other company, though there is no official information linking the two companies… or the actual designer and manufacturer of the chips could be a completely different company. Another Scrypt ASIC manufacturer, namely Alpha Technology has still not started shipping their miners. The company did not manage to meet their initial target to start shipping in September and has announced that they should be able to do it in October. Now, at the end of the month we still haven’t seen an announcement that the company is ready with the actual miners and will start shipping this month, so we can assume that the target for shipping has slipped to November. Eve though about the company has shown some photos of their ASCI chips earlier this month they are apparently not ready with the complete solution yet. Alpha Technology like many other Scrypt ASIC manufacturers that do or did take pre-orders does not like much to keep their customers up to date on how things are progressing, even after failing to meet their promises, so status updates are still rarely released. KnCMiner is apparently also shipping again some more Titan Scrypt ASIC miners to customers after they have recently promised to ship all of the remaining Batch 1 pre-orders in the next three weeks. As a result we are seeing some more significant increase in the total network hashrate and difficulty of the Litecoin network with the Titans performing best when mining high difficulty coins such as LTC. That however does not contribute that much to making customers of the company happy as people are still not satisfied by how KNC is not keeping their promises.